So you’ve had a bad experience or someone has caused you damage and you’re fairly certain you’ve got the right to sue! Maybe you’ve talked to a few attorneys or are determining whether you should and want to know some things to consider if you’re thinking about suing. Bear in mind we first would remind you of our usual disclaimer that it always makes sense to speak with an attorney as opposed to researching on the internet – and we offer free consultations, so give us a call today at 419-900-0955 to talk through the specific aspects of your case. The trial attorneys at Sawan & Sawan have a wide range of experience across many areas of litigation and are happy to field general questions as part of a free initial consultation. Since we know you’re likely busy with other things and might not have time for that right now – here are the five things you should consider if you’re thinking about suing. How much is it going to cost me to file this lawsuit? Trials are expensive. Attorney’s fees can vary depending on the experience of the firm, complexity of the area of law or the specific case at hand and the local market. You can typically expect to spend in the thousands for attorney’s fees. It is paramount that you discuss this with your attorney prior to hiring them. Try to obtain reasonable estimates after understanding the firm’s expectations given the claims, evidence and general expectation of how long the process might take. But attorney’s fees are not all. There are other expenses involved such as court filing fees, deposition court reporters and other unexpected costs. To sustain your case until the end of trial can be quite costly. If your specific case would involve an expert witness (such as an expert medical doctor or accident reconstructionist), this can potentially add several thousands more in cost. 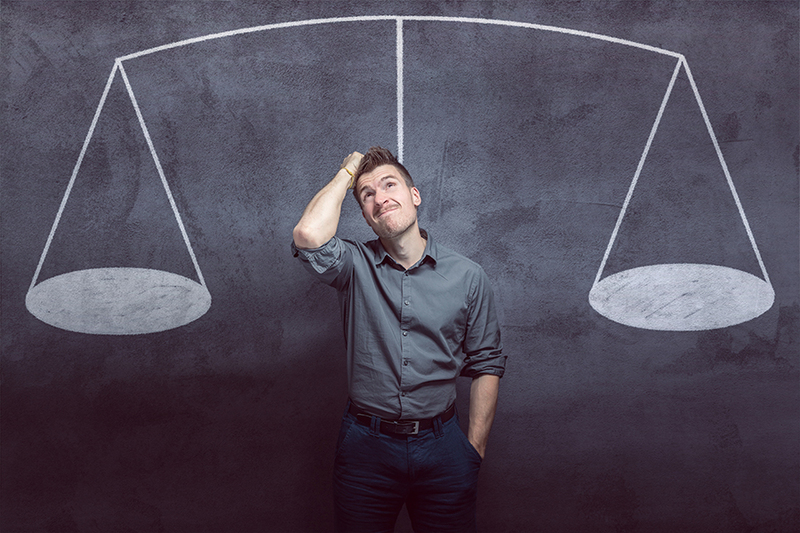 One of the best things we recommend is discussing the anticipated costs of both attorney’s fees and the costs of litigation such as expert witnesses to get at least a ballpark estimate before you sue. Are you going to be able to collect on your judgment if you prevail? Let’s assume for a minute that you’ve gone through your day in court and won! A party that prevails in a civil lawsuit will usually obtain a judgment encompassing the amount of damages it has been determined they should receive from the other party or parties. Once the prevailing party (you, in this case) has this judgment, it is time to collect. Collecting on a legal judgment can be a very difficult predicament. For starters, you should consider the implications of a bankruptcy on your ability to collect a civil judgment. If the party you have prevailed against files for bankruptcy, it could in some cases bar your ability to collect entirely. If the party has the money available, it is possible to garnish accounts or wages and perhaps you will have to expend additional fees to hire a collections attorney in order to effectuate your judgment. Adding even more complexity is the availability of insurance coverage. If an insurance company is involved and it has been determined they must cover the party for whom it has been determined was responsible in some way, your ability to collect on the judgment might significantly increase. And last but not least, if a party is appealing the judgment for any reason, it could also tie up your ability to collect on a judgment. So all of these factors must be considered by your trial attorney in order to best help you evaluate whether you should proceed. Do you have a lot of evidence already? Most lawsuits require a large degree of effort (and expense) during the discovery phase. Discovery is the process by which the parties to a lawsuit are able to utilize subpoenas and other mechanisms to investigate their claims and obtain evidence to support their case. It is important to consider the nature of the evidence available to you. Do you have text messages, e-mails or written documents proving your claim? That would bolster any lawsuit you are considering. Is it going to be difficult to prove your claim such as with oral/verbal statements or the need to subpoena phone service providers or social media companies? That could increase your costs while also decreasing your likelihood of success. The availability of evidence to support your claim is paramount to a successful lawsuit and should be one of the first things you and your trial attorney consider before suing. How might the lawsuit impact your life? Litigation can consume much if not all of the lives of the parties involved. There are depositions, hearings, motions filed that change the course of the case and, of course, trial. All of this can be incredibly taxing. Some lawsuits can carry on for many years before a trial happens. That can also be incredibly nerve-wracking and emotionally taxing. Before you sue, you should consider whether you are up to this fight. There are less contentious ways to resolve disputes – such as alternative dispute resolution. Lastly, you should consider whether or not you’d accept a settlement instead of proceeding to trial. Settlements can provide you a way to still obtain compensation for your damages but not have to endure the litigation process. If you’d be willing to part with your day in court, a settlement can be an effective outcome. It is important that you hire an experienced trial attorney to negotiate the settlement on your behalf to ensure you do not leave compensation on the table. Furthermore, you need to make sure your settlement agreement is drafted in accordance with best practices to protect your rights. But when compared with a trial, the option to mediate and settle the case can be a beacon of hope that you should always consider before suing and even all the way until a judgment has been rendered. Call our family of litigation attorneys today! If you or a loved one is considering a lawsuit against a person or company – give our family of lawyers a call today at 419-900-0955. Sawan & Sawan is a litigation law firm with attorneys licensed to practice law in the State of Ohio and Florida. If you were served with a lawsuit in Ohio or Floridaand would like to speak further about the case, call Sawan & Sawan today at 419-900-0955 to schedule a free consultation. 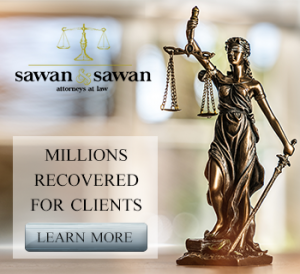 The lawyers at Sawan & Sawan serve the following cities in Lucas County, Ohio: Maumee, Ohio; Oregon, Ohio; Sylvania, Ohio; Toledo, Ohio; Waterville, Ohio. I Received a Civil Summons – What Should I Do? Should I Refuse a Breathalyzer Test in Ohio?